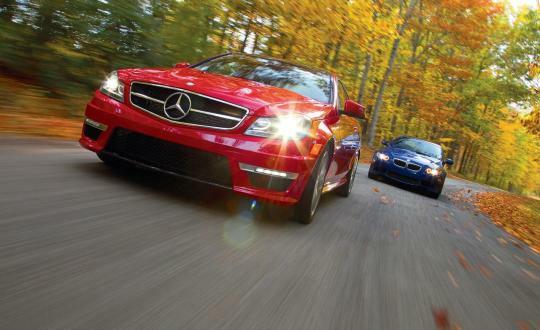 The current M3 is long overdue. 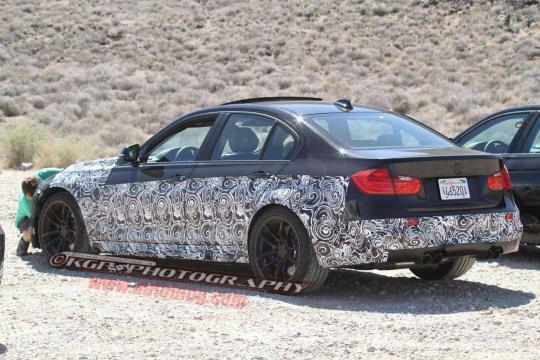 The fifth generation M3 is on its way and will be revealed during the Geneva Motor Show next year and is rumoured to be powered by a turbocharged six-cylinder. 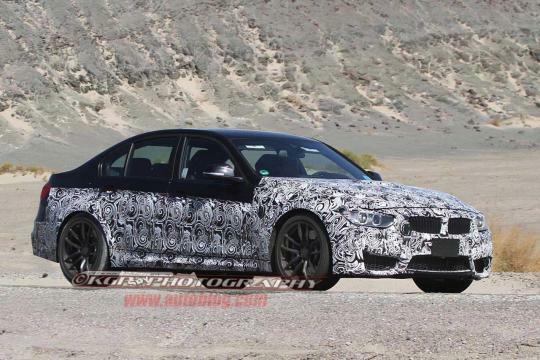 Code-named F80, the M3's appearance in Geneva will be a lightly veiled concept where a clear styling and mechanical package of the Mercedes-Benz C63 AMG rival can be seen. A production ready model with a production interior will debut at next year's Frankfurt motor show, sources close to the matter have revealed. The current version of the M3 sedan went out of production in October 2011. 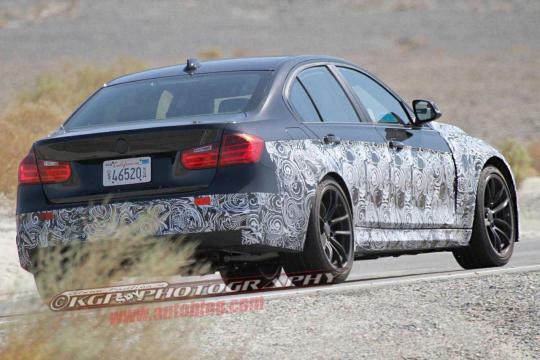 The new M3 will be launched exclusively as a sedan, as a follow-up to the coupe, cabriolet and maybe a Gran Coupe variant to fall under the M4 nomenclature. 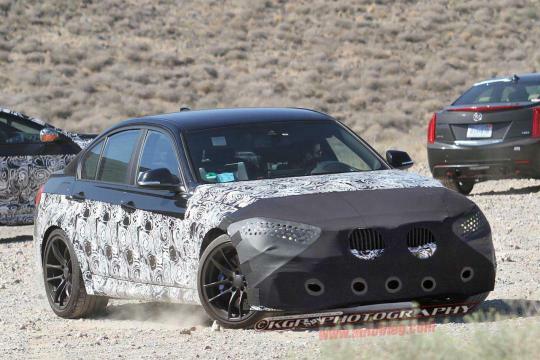 The M3 sedan will have subtle styling changes that is also functional like a deeper front bumper with large cooling ducts for the forced-induction engine, a lightly tweaked kidney grille, etc. A trunk-lip spoiler can be spotted from the spy shots that complements the deep rear bumper that incorporates a diffuser and traditional quad exhausts. 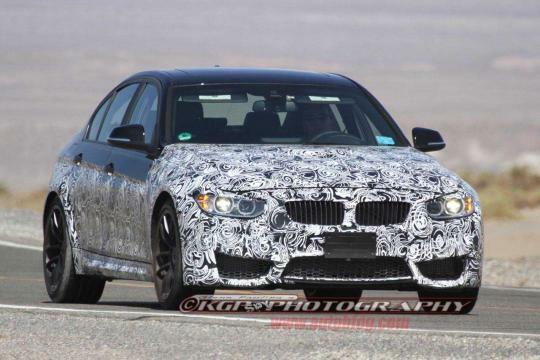 The M3 will retain a steel structure, though certain parts of the body shell, like the hood and doors, to be constructed from aluminum. 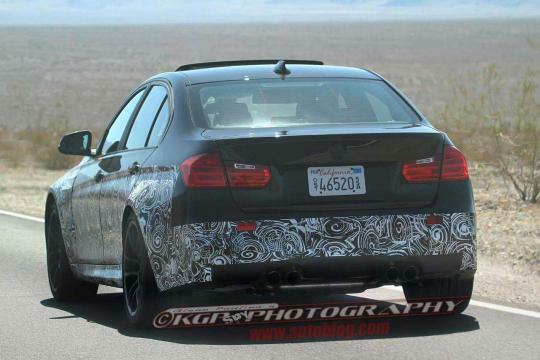 To match the performance levels from rivals Mercedes and Audi, BMW's powertrain is expected to deliver about 450bhp. 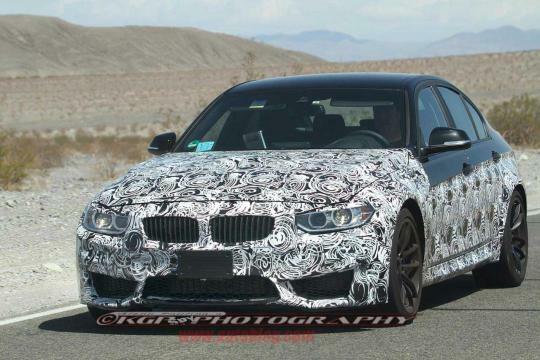 Also for the first time the manual gearbox will be replaced by a standard seven-speed dual-clutch gearbox, similar to the M5 but with altered ratios.